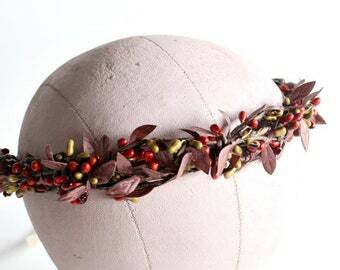 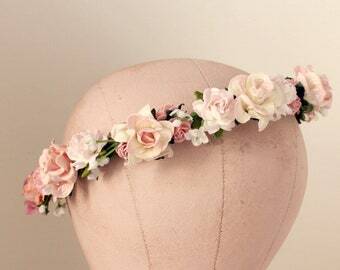 Romantic and ethereal floral crown made with faux greenery with tiny pink with gold edges rosebuds plus gold leaves ribbon. 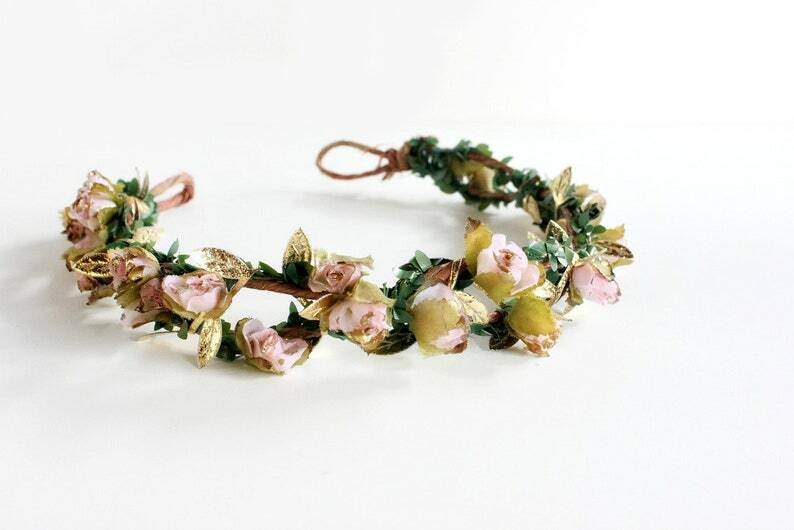 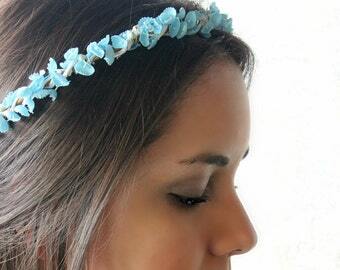 Unforgettable touch to a bride, bridesmaids, or just to add touch of pretty to any spring event. 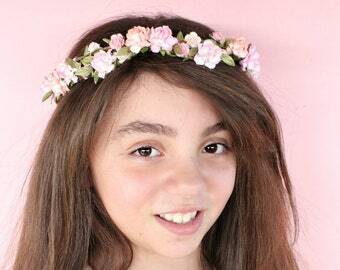 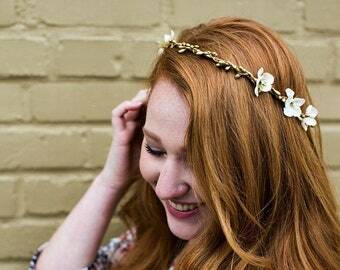 This crown has an ivory ribbon tie in the back and can be adjusted to fit any head size.